Microsoft got rid of Nokia, and everyone is talking about the death of Microsoft Mobile. I think otherwise – getting rid of Nokia was probably the best thing that could happen for Windows mobile phones. Pre-iPhone, Microsoft was on a roll with mobile. RIM dominated the space with tight integration with Exchange. Microsoft was a bit late to the game, but was aiming at RIM/Blackberry and executing on Windows Mobile nicely – all the major carriers had email savvy phones from Microsoft. 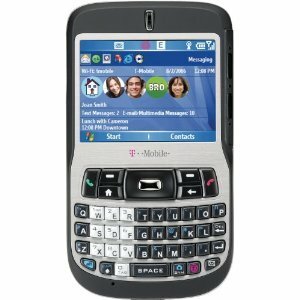 I had the T-Mobile Dash and I really liked it. My Dash even ran some apps – I had a home automation app on my phone. It was the success of these phones that made Ballmer so cocky when he saw the iPhone which was triple the price and didn’t have a keyboard. We all know the story. Microsoft had its eye on the wrong competitor. The iPhone took off. Blackberry was decimated, and Microsoft Mobile phones were soon discontinued. But Ballmer had a vision – a single OS for desktop and phone. It’s a truly powerful vision. Microsoft set out to develop Windows 8. The Surface tablets would also run Windows 8 – and eventually so would the smartphones. This would completely solve the lack of apps problem and could indeed offer a much tighter and more integrated experience. Various factors prevented this vision from becoming a successful reality – now Microsoft is at it again with Windows 10. Ballmer’s vision, thanks to Nadella, is possibly imminent. Ballmer thought Nokia fit into that. That never made sense. As I wrote at the time, Nokia was already committed to Microsoft – buying Nokia didn’t make sense for that reason and many more. Getting rid of it now is simply righting an expensive wrong. Here’s what could happen. One key feature of Windows 10 is expansion of the docking station concept. They demoed this at Ignite. A tablet or smartphone could be docked at a desktop – support a large screen, keyboard, and mouse. The software understands it’s docked and the UI changes for keyboard instead of finger. Do we really need a computer at the desk? I know I need a monitor and mouse, but I am not convinced I need a computer. Though I don’t see myself doing my daily tasks on Android or iOS anytime soon. The mobile device/desktop could be a very nice solution for many work personas. A Windows 10 device will have no shortage of apps. Microsoft is very good at extending their value across their products. Even though the company has made huge strides is better supporting Android and iOS – they will do even better with Windows. Those initiatives have largely been possible because of O365. The mobile device is designed for cloud apps. If the apps are in the cloud – the operating system is less important in general. Where it is important is things like single sign-on, printing, and other forms of BYO integration. Windows could simplify this along with mobile device management. Partners: This is the big one. Microsoft is very good at software, and has generally relied on partners for hardware. This move with Nokia may allow that to happen again. Apple showed that a more fully integrated hardware/software experience was better. Instead of doubling down on its past successes, Microsoft started chasing Apple – it got into the PC business, the phone business, and the retail business (not to mention the wall screen for conferencing business). Meanwhile, Google kept focused on software – made its Android available to hardware partners. The first Android phone came out after the iPhone – and it now has leading market share. I question why Microsoft makes keyboards and mice. There were numerous brands making Microsoft mobile phones like my Dash. Today, there is really only one vendor making Microsoft phones – and it had a bad week. With Microsoft moving away from the phone business – perhaps Lenovo, HTC, Dell, Samsung, HP, LG – and others will return to the party (because they need multiple vendors for leverage against Google). One Google twist with hardware is their Nexus phones with the pure Android. If Microsoft wants to emulate that with what’s left of Nokia – more power to them. To be fair, Microsoft can do hardware. I have a Surface Pro PC – it’s a clever device. I could do it over I’d buy a traditional laptop form factor. It’s nice to have choice. I expect more choices in 18 months than there are today re Windows phones. Will Windows Phone take off? It largely depends on Windows 10. I thought Windows 8 was going to be big, but execution is hard to predict. If Windows 10 does take-off – then so could Windows 10 phones. I’m not convinced a lot of people care about their mobile devices (yes, some people care a lot). Many seem to go with whatever the mobile sales clerk recommends. I prefer Android over iOS, but all I really care about is that the device runs the apps I need in a delightful form factor. Windows 10 can deliver the apps, and multiple vendors working on form factor will increase the odds of a delightful device. Throw in some Microsoft shenanigans that make their integration experience better (Office, Skype, O365, MDM, SSO, etc. ), and the story gets more exciting. Microsoft has the apps, the cloud, and the OS – letting hardware companies make the devices could be the missing ingredient.